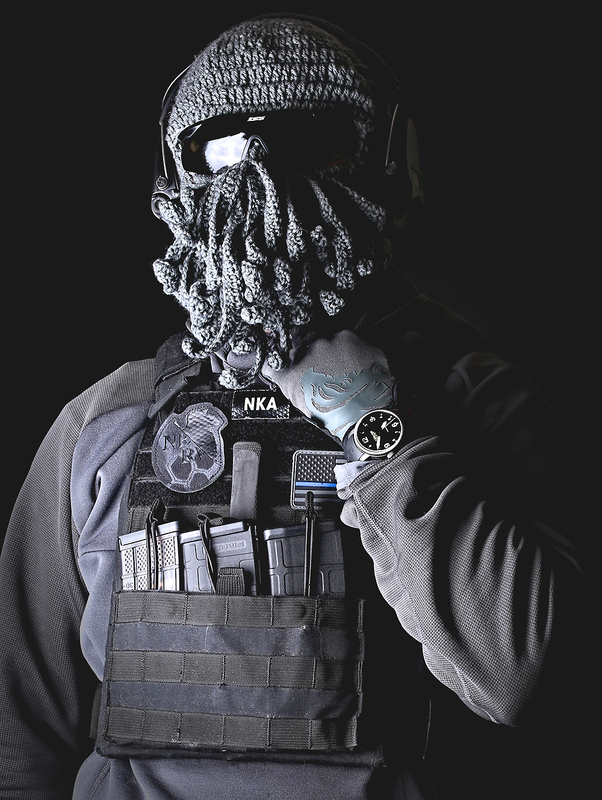 I saw a poster respond with "tactithulhu" and figured that would be a fantastic name for this operationally operational chthulhu operator here. It just so happens he wears a Lumtec Combat B. Because, it is awesome.